Do you spend hours looking after your lawn only to find that the moss just won’t go? As a common garden pest, moss grows in all lawns regardless of their maintenance, making the beautiful green look less than desirable. But no fear, what may usually be an expensive and time-consuming process is made easy with Wet & Forget. So, here is our solution to help eradicate your moss problem and get back your perfect lawn. No matter how stubborn it can be, to kill moss you shouldn’t have to resort to harsh chemicals that may damage your lawn further. It also shouldn’t mean that you have to spend hours raking it out as a natural moss removal method. Instead, why not try out Wet & Forget for a lawn moss treatment, which is free of bleach, acid and caustic products leaving your lawn looking it’s best. Wet & Forget is the perfect solution to all your moss problems – whether it’s lawns, patios or furniture. At a gentle pH of 8, which is as close to neutral as you can get, you needn’t worry about your lawn. Just ensure that you apply it on a wet lawn and target the moss as best as you can. Don’t worry too much about any overspray though as it is not a major problem, but it may result in some leaf burn. The best part is that it’s completely harmless to pets, so don’t worry about making your lawn potentially dangerous to them. As long as you make sure to keep them off the lawn as its being treated and wash the solution off if they come into contact with it, then they can enjoy your new moss-free lawn too. Make sure your lawn is damp, either from the morning dew or you can wet it yourself. For best results, use in winter when the lawn is dormant. Mix one part of Wet & Forget with seven parts of water in a garden sprayer. Try and target the moss with the solution rather than the lawn – but if there is a bit of overspray don’t worry, it won’t kill your lawn but may result in a bit of leaf burn. 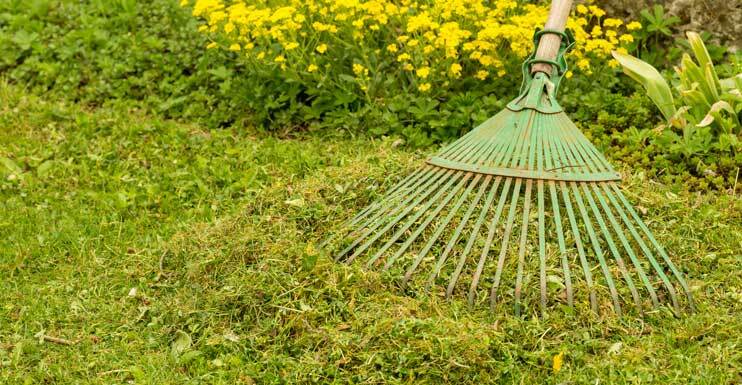 Once the moss is dead and decomposed give your lawn a quick fertilise to get ready for spring. And that's it! There's no need to scrub or rinse Wet & forget away, simply reapply should the moss reappear to maintain your beautiful lawn. For those wanting to make lawn maintenance even easier, try Wet & Forget Rapid. The built-in nozzle and pre-mixed formula makes treating your lawn for moss a piece of cake, especially for those with more moss than lawn or a large area to cover. You'll also have the peace of mind of knowing that you've eradicated your problem in the most hassle-free way imaginable.